Sophia, a new high school student, tries to make friends with Barbara, who tells her that â€œshe kills giants,â€� protecting this way her hometown and its inhabitants, who do not understand her strange behavior. The CGI beasties were pretty cool to behold, unfortunately they were a pretty minute part of this movie, which is absolutely not what it was marketed to be. 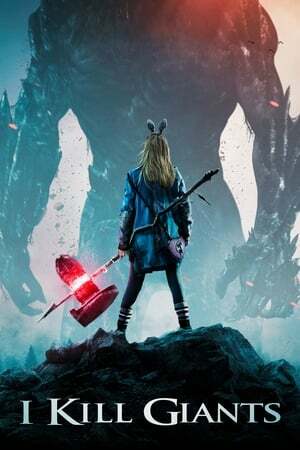 Now I've got no problem with a movie subverting expectations, but _I Kill Giants_ didn't offer up enough within its alternatives to come away with a whole-hearted recommendation from me. What it does have is intermitantly interesting, and although I was a little disappointed, it was very far from the worst film I've seen all year.